Story in Gaming and it's importance; a PressQuit Column. ​Story in gaming is important! Damn, how a great story can deliver a fantastic experience. Too bad that when talking about a great story in a game, many non-gamers can’t understand that it is something very special, made by a great team, who put in passion and their blood, sweat and tears. Many non-gamers still see games as “childish”, saying things “playing a game, where’s that gonna get you”. Those people fail to see that watching a TV station like TLC is much more mind numbing than playing a videogame. But I digress, back to the story in games. For me personally it’s very important that a story is explained properly with an intro (possibly in the form of a prologue), and clear as day where it is going. A perfect example I think is Dragon Age: Inquisition. In my opinion a beautiful and well explained story and fantastic gameplay. The opposite is a game like Dragon’s Dogma. Like Dragon Age fantastic gameplay, but unlike aforementioned, a completely unclear story. The only thing you know is “get your heart back from the dragon”. Unclear questlines, badly explained character motivations and poorly implemented characters. Not saying Dragon’s Dogma is a bad game, far from it. But story-wise, it does have some major flaws! Although I can imagine that a lot of people don’t mind anything of this at all. Some gamers play games purely for the gameplay. (In which I highly recommend Dragon’s Dogma. For me personally though, I think it’s a shame. I just cannot understand that the gamedeveloper, author or filmmaker doesn’t clearly explain the story he or she wants to tell. I find it strange that the character in Fallout 4 wakes up after year of cryosleep, exits his pod, gets the first gun he gets his hands on and instantly starts shooting around. Not at all surprised about what is happening… Everybody experiences a game, a series, a movie or book differently, but ambiguity is on the top of my list of annoyances in every form of entertainment. Allow me to take this chance to thank all the people who work on all the beautiful stories in which we can lose ourselves for hours. And a tip for people who lose sight of the story: The Devil is in the Details, don’t forget that. Job has this great capability to make the worst jokes ever. Nevertheless he is quite hilarious and a true nerd at heart. 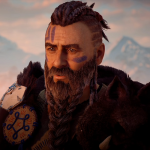 He loves a good RPG and won’t shut up about Horizon: Zero Dawn. Feel free to bother him about this on Twitter.